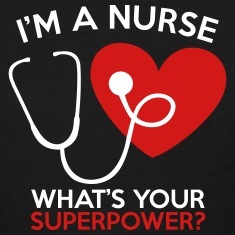 I'm a Nurse what's your Superpower? International Nurses' Day is celebrated annually on the 12th of May, to commemorate the founder of modern day nursing, Florence Nightingale's birthday. At Medical Forum Theatre Day Hospital we also celebrate this day (Nurses Day), to acknowledge and thank our nursing staff for the wonderful work they do at the Day Hospital, dispensing comfort, care and compassion without a prescription. To all nurses.... we wish that all the care and kindness you give to others may come back to warm your hearts today and always.